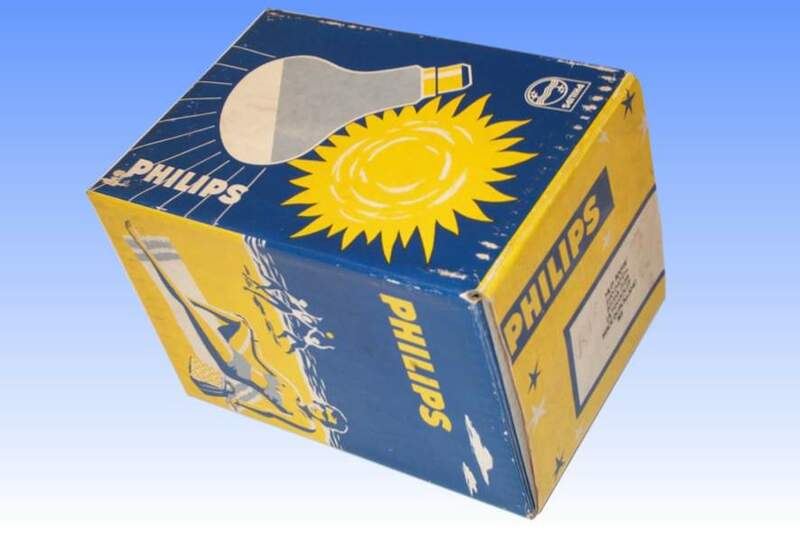 The Philips MLU lamp was perhaps the most popular form of artificial sun-tanning lamp found in the UK until this technology died out in the 1980s, in favour of high power fluorescent tube systems. It was offered in three versions - the most popular being this 300-watt model with a 3-pin bayonet cap. A screw-capped equivalent was also offered for industrial ultra-violet applications, and where a higher power density was required, a large 500W lamp with 4-pin base. The latter two were phased out during the 1960s. From the technical standpoint the Philips MLU series is no different than Osram's latest generation of the Ultra-Vitalux, or the RS Sunlamp which used to be available in the USA. At the heart of the lamp is a 125W MB type quartz mercury arc tube, equipped with platinum painted ends in an effort to raise the mercury vapour pressure a little higher than in normal lamps. The arc tube is ballasted by a tungsten filament coil which also contributes to the infra-red output of the lamp. This has no benefit to the majority of industrial applications, but in domestic use it delivers a great deal of warmth in the beam from the lamp, which used to be marketed as offering other therapeutic values in addition to the ultraviolet output. For industrial applications where the infra-red is strictly not required, the type HPR lamp is offered as an alternative. 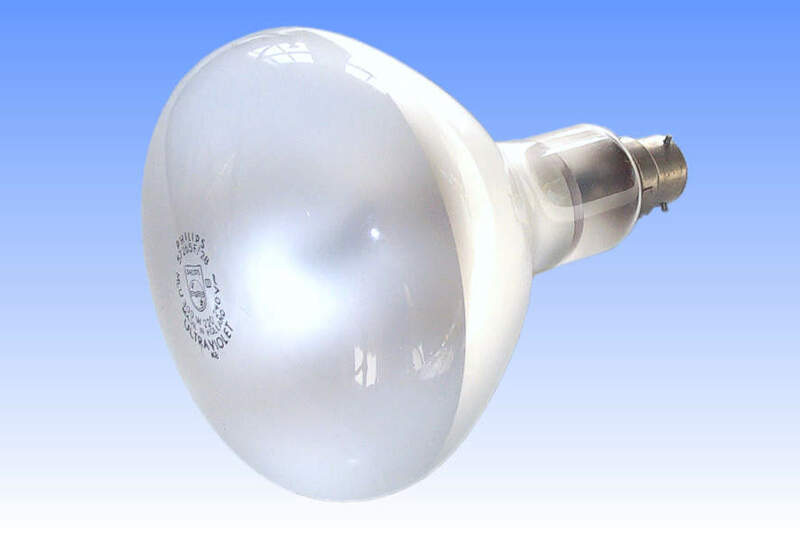 The outer glass envelope of this bulb is of the hard glass type (necessary because of the high lamp wattage in the small physical size). It transmits ultra-violet radiation down to about 300nm and infra-red out to 3000nm. The inside frosting helps mix the light from the filament and arc tube. References: 1) Philips Compact Lighting Catalogue, 1978.